You look gorgeous as always, Laura! I have yet to find a decent lip stain. This shade looks lovely on you. It is a shame that you have to put a fair bit of lip balm underneath to stop with the drying but I guess that happens with nearly all lip stains. I love your make-up in these! Takes me back to the Lollipop26 days, where I would religiously watch and mentally note down all key products! I love your musings on make-up, so articulate! Wow, that lip stain looks amazing on you. Can't wait to see what goodies you picked up! Love those Sephora lip stains, they're fab. I think I have about three of them. Real Techniques brushes are the best, i hope u got the Expert, Stippling, Blush and Powder! Gorgeous colour! And so excited as I live near sephora I go pick one of these up sometime :) thanks for the review, I hasn't heard anything about them! I LOVE your hair straight! it flatters you beautifully in that second picture. I own this shade and love it! Couldn't believe how long it lasted on me, I usually have to reapply lip products all day. Oh my gosh. That looks so good on you! The color is perfect. I have to get it! I've been raving about these for a few years. :) I wore the red a lot during the holidays, and Strawberry Kissed is a great color for summer. Bright and beautiful! Ah, I love colours like these...so bright and gorgeous!! Perfect for this time of year and yes these shades make your teeth look whiter!! You look absolutely stunning - suits you to a T! 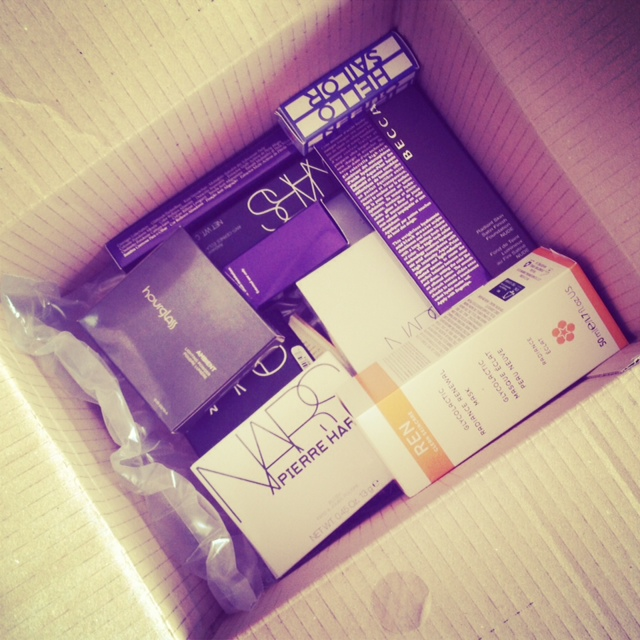 And once again - cannot wait to hear about your Space NK haul, I'm putting off going instore until pay-day haha. It so is a matte version of Cherries in the Snow! I have a few of these cream lip stains. 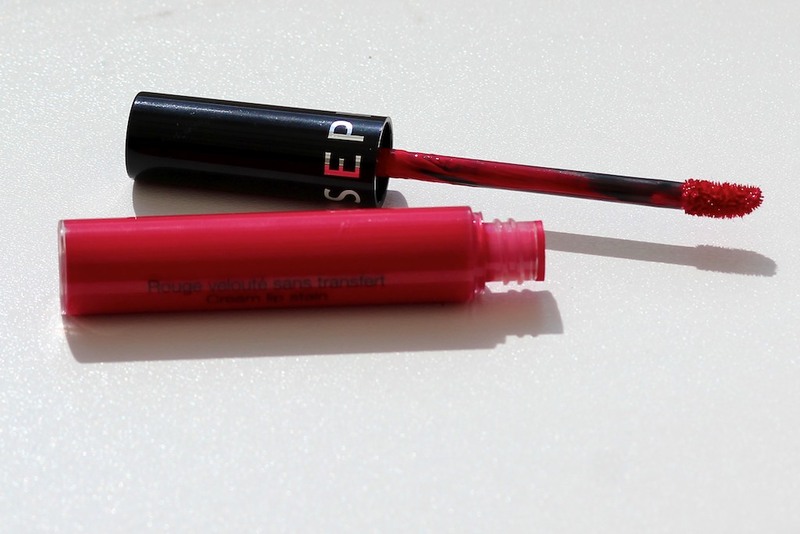 You should totes try the shade 'Always Red'. P.S - Definitely feeling the fringe! Woah, that's a really lovely shade! Of course its too bold for me but it looks amazing on you! You're going to love Real Techniques brushes aswell. Gorgeous, looks incredible with your hair color. It looks beautiful on you. Very smooth and vibrant. I always wear a bright lip in the house and scrub it off before I go out! Haha well done on being brave! this red looks great on you - really pops! i like the fringe too. By the way, I love your hair! So gorgeous! It looks similar to the Nars Dragon Girl shade that I could never get my hands on! If you are overly found of the Sephora lip stain line then you should perhaps secure any colors you are interested in. I work at a Sephora and our location has been told by our rep that Sephora is looking at discontinuing the lip stain line due to lack of sales. :( It's a shame because they are such outstanding products. Ah that box looks so inviting! 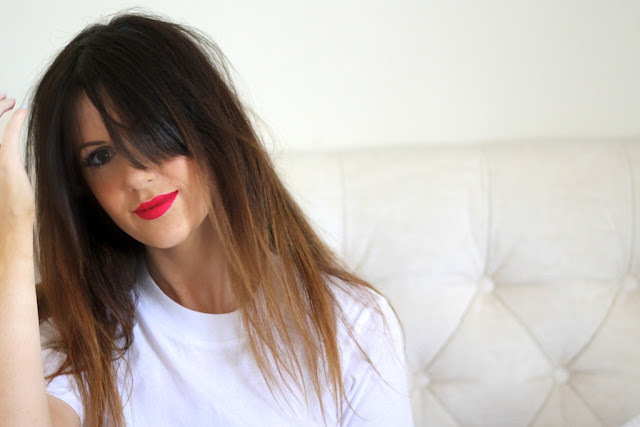 That lip stain looks amaaazing on you! That colour is so beautiful on you! I do love a bright lipstick during summer. I also hope sephora comes to the uk too we are seriously missing it! Really want this cream lip stain! Hope i'm brave enough to also leave the house with it on! Wow that lip colour is gorgeous on you!! This is a gorgeous colour! As a fellow Cherries in the Snow lover I must now get myself one of these. Beautiful berry shade! The lists of the highlights of Overview Microsoft Account free of charge. Outlook Login On the outlook homepage you will see a choice to create an outlook account.